LORENZ hosts readings from authors, journalists and publicists on cultural, political and economic topics. 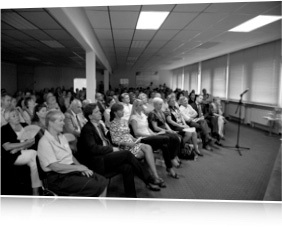 The LORENZ Readings form part of a series of cultural events held at LORENZ HQ in Frankfurt/Main (Germany). The readings provide a platform to a variety of authors to present their works to business friends and colleagues of the LORENZ Group. Launched in 2009, the event is a private and informal occasion to exchange and discuss views on current and philosophical topics. Some events are accessible via LORENZ ID. As the events are held in German, only German-language speaking countries will have access to the videos. 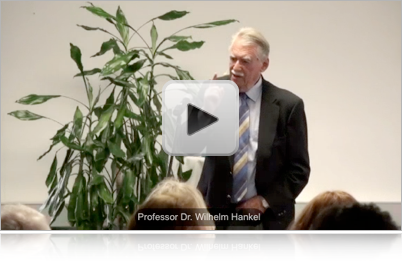 The video is a six minute excerpt from a one hour 45 minute lecture including Q&A held by Professor Dr. Wilhelm Hankel at the LORENZ HQ offices in Frankfurt/Main (Germany) on 20th April 2010. The lecture is on the pros and cons of the EURO. Please note that video extract requires Apple Quicktime Player 7 or higher. The extract is in German language. LORENZ is also working on digitally remastering all available video material on previous forums. These will be available for streaming to LORENZ customers.